I'm standing on a swing stage around 12 or 14 stories up on the side of the Dorilton Building on the upper west side of Manhattan. 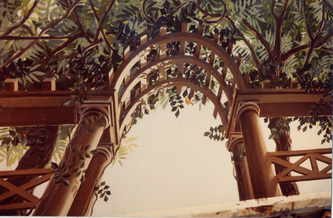 The job was unusual--I was hired to replicate an ornate five foot high copper trim detail, the original of which had to be removed from the building. 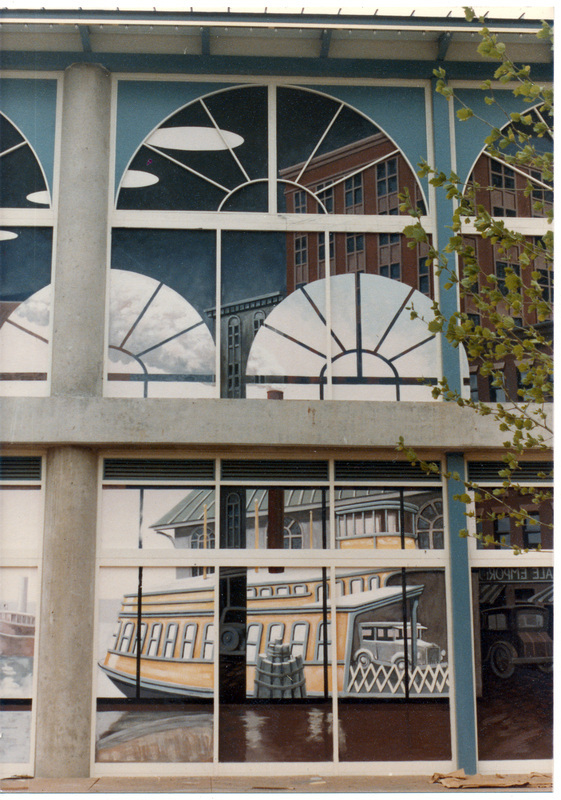 So I ended up painting this detail, which was hard to see from the street, along the course of about 350 running feet around the building! 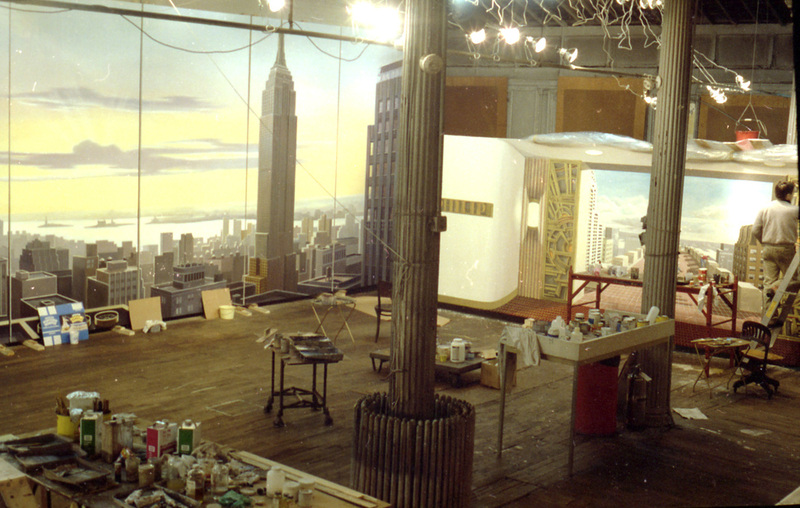 With all the rigging and existing architectural details in the way, the simple job took a few months to complete. 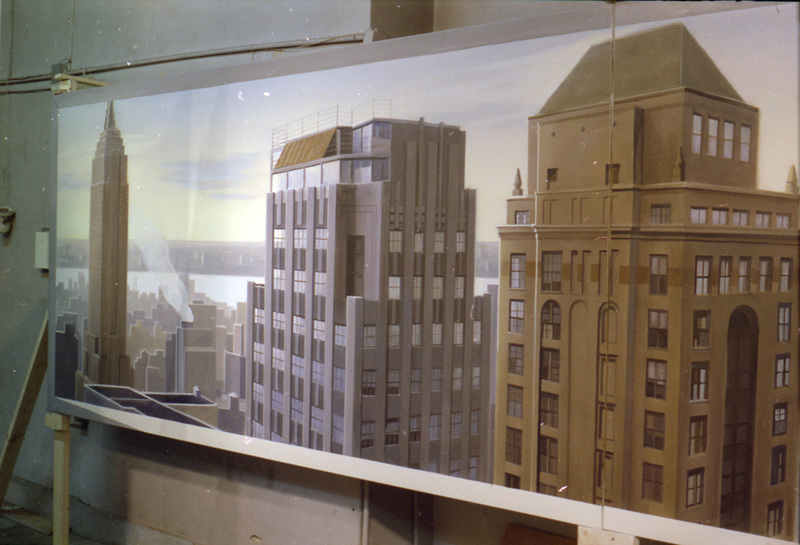 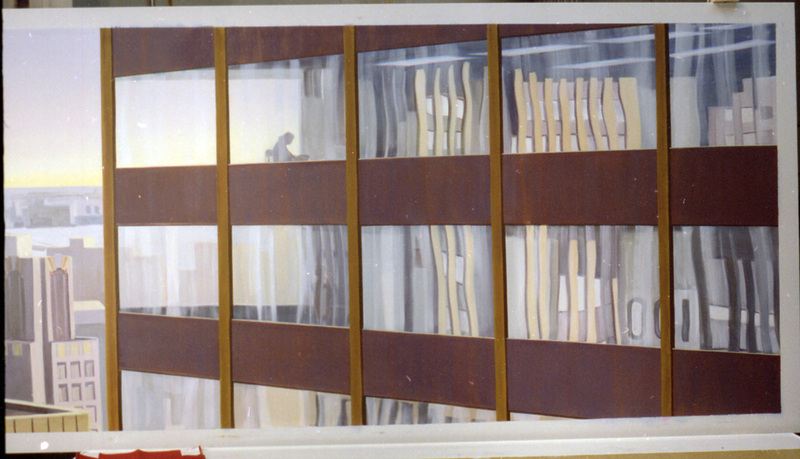 These are 6 studio shots of Richard Haas murals created for the headquarters of Philip Morris in New York. For this we rented a warehouse space on Broome St. near Lafayette. 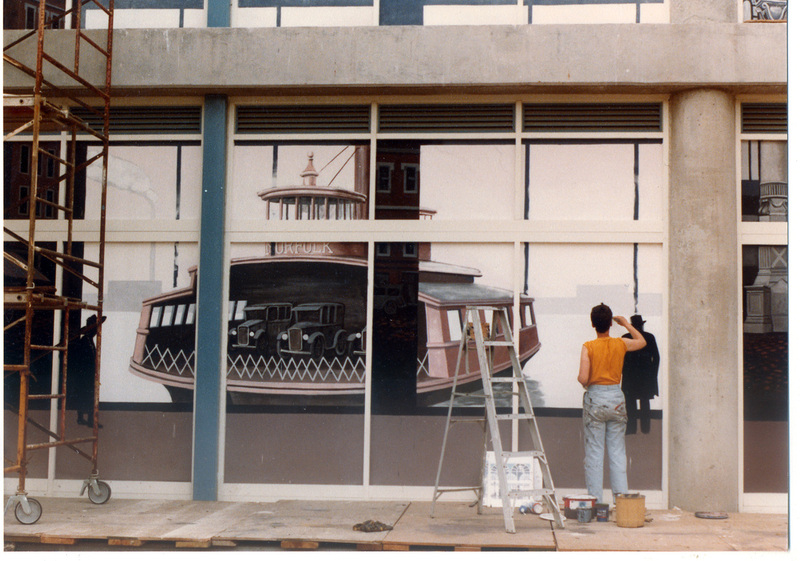 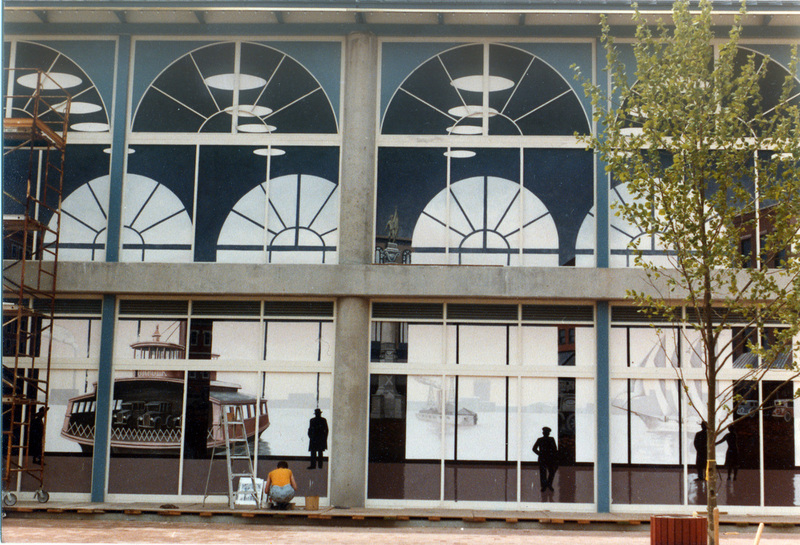 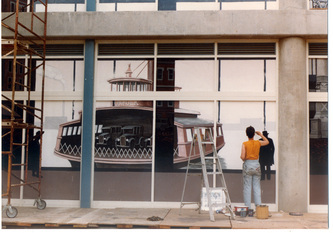 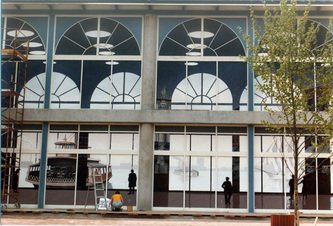 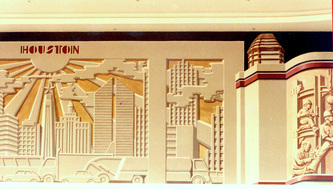 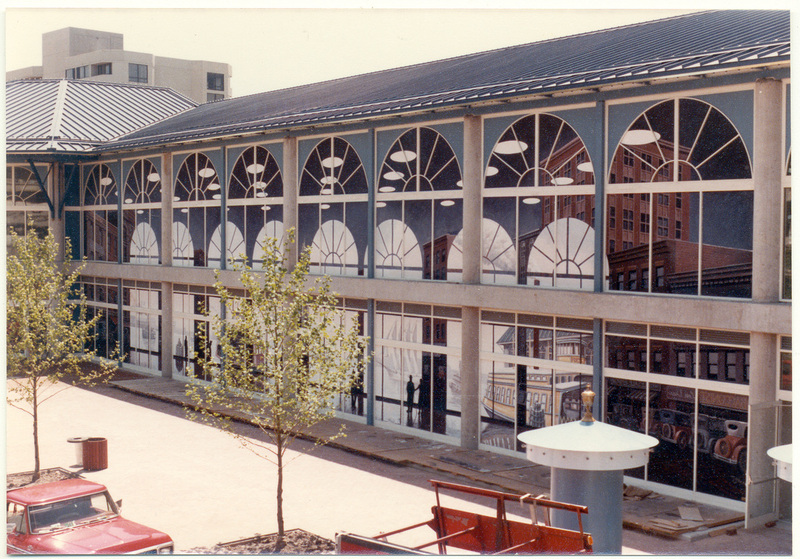 Images of Richard Haas mural completed in Norfolk, Virginia around 1987. 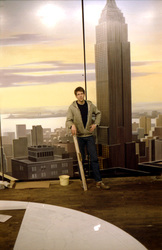 Painting assistants: Eva Buchmuller, James St. Clair and Boris Major. 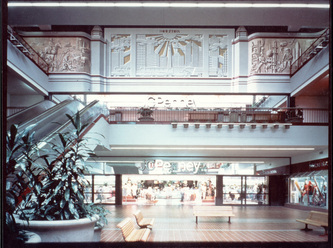 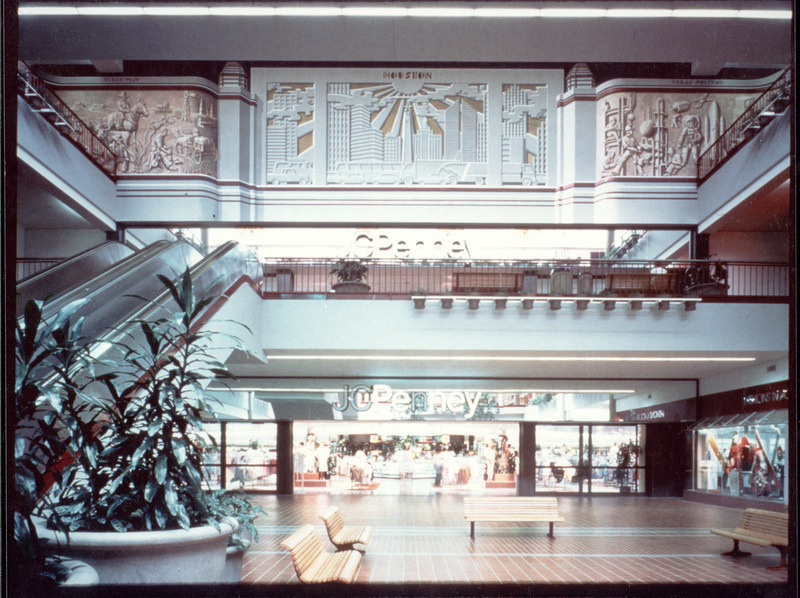 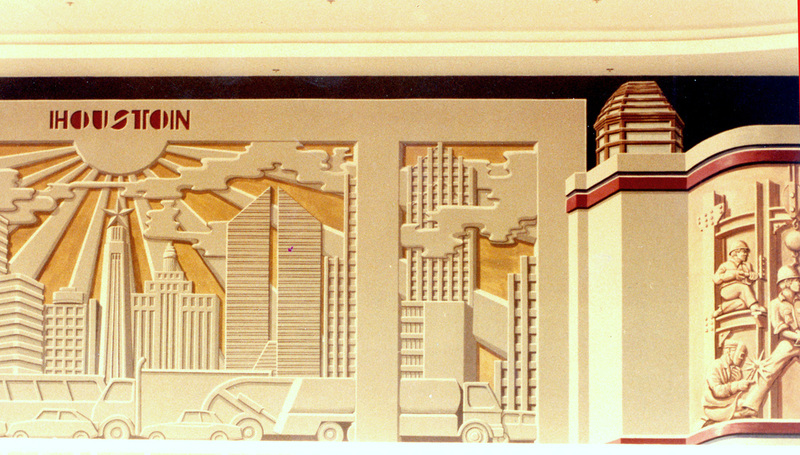 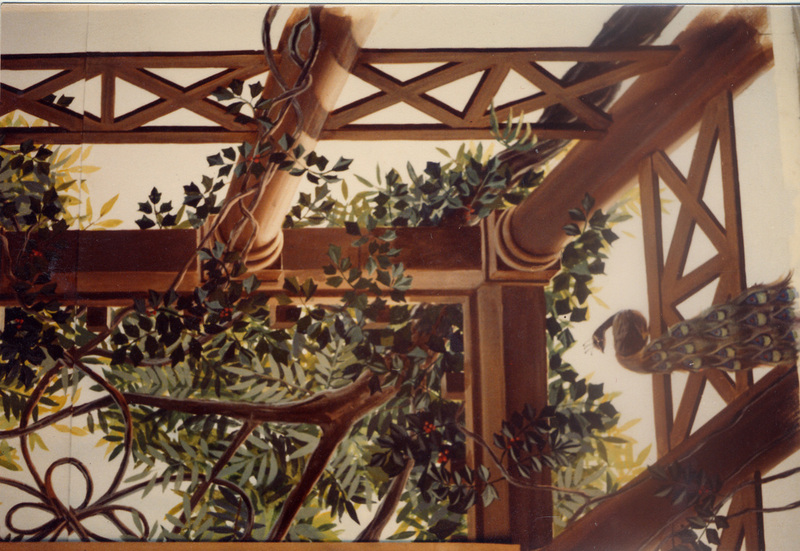 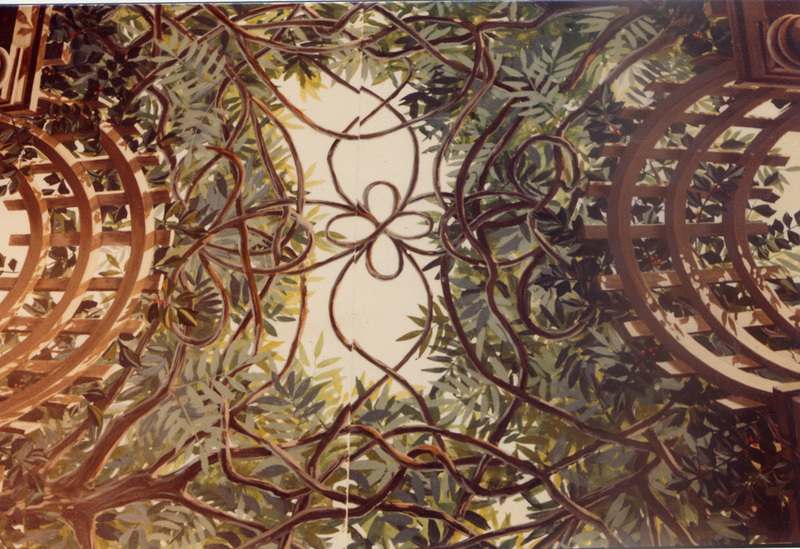 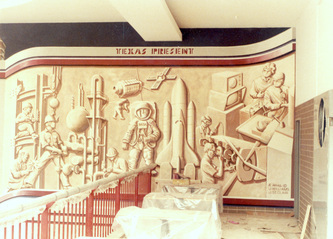 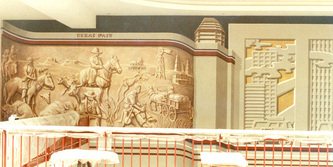 Mural painted in the Town and Country Mall, Houston, Texas--Richard Haas design. James St. Clair and I painted this on site. 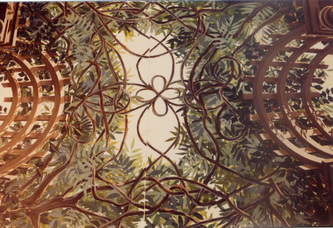 This is a Richard Haas design for the ceiling in a condominium lobby. 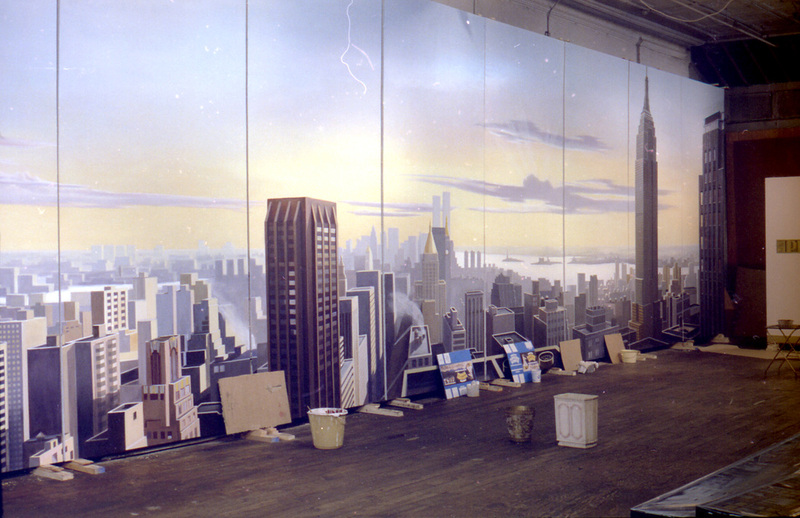 Below are shots of a huge mural/backing (about 400' x 60' high) which is on the Universal backlot in Burbank. This is a permanent installation serving as a backing behind the built European City street sets. 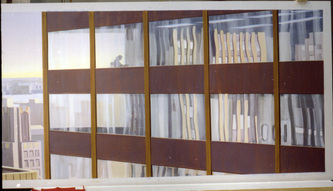 This project took a couple of months for a crew of 7. 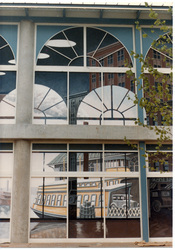 The bulk of the work was done by Mike Denering, who was in charge, Chris Coakley, Joe Francuz, Don McDonald and Scott Gordon. 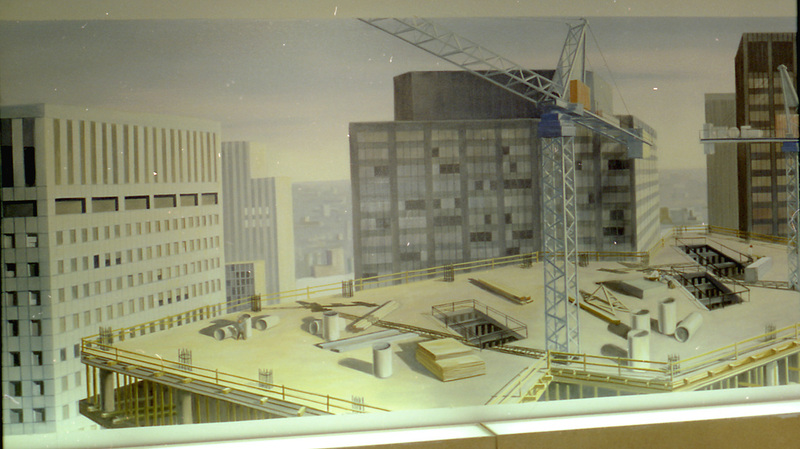 I came in towards the end to help finish off the lower level, which wasn't reachable from the huge scissor lifts! 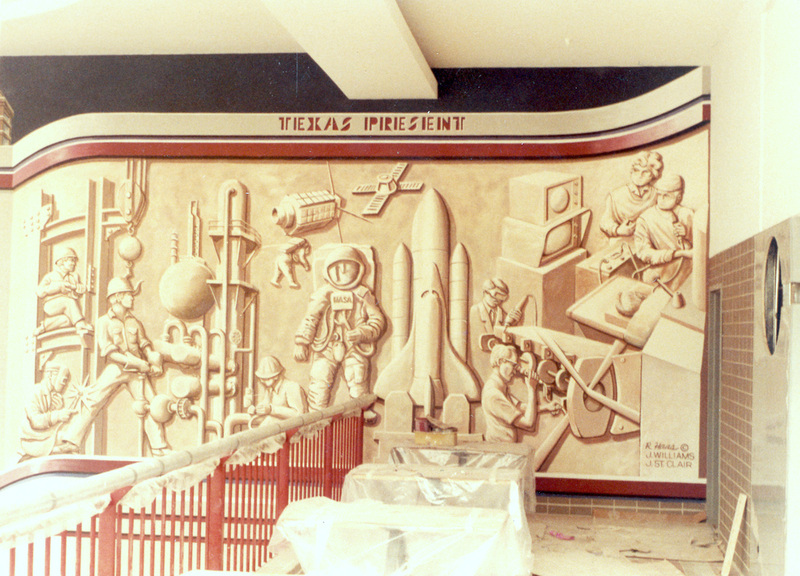 William Cervantes also helped out. All flat painted architectural details.